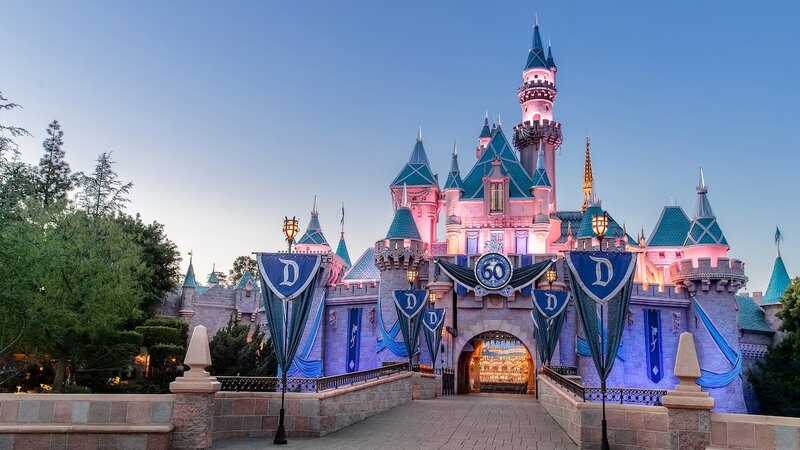 It's no secret, or maybe it is here that next week I'll be going on a week long adventure to Disneyland Resort (and Universal Studios) so it seemed appropriate to share some Disney hacks and tips. I've been doing a lot of research to maximize time in there especially since I'm going on a non peak week, meaning that the park isn't open as long as it is the more popular times. I mean this could mean that the park will be less crowded with shorter lines but the thing with Disneyland is that you never know, it might be just as crowded with less time. This is long so I applaud you if you can get through it all! Disneyland Mobile App. The first thing isn't an item exactly but rather a mobile app. This is a neat app that was a long time coming. It's released by Disney itself and it features everything you need to know about the park. You can check menus, look up park hours, locate characters, and more. The best feature about it is that it gives updates on attraction wait times as well as allowing you to check on FASTPASS return times (more on that later). External battery pack. Cell reception is notoriously bad and between searching for a signal all day, loading that mobile app, taking a million pictures, and of course amusing yourself with games during those long waits, your cell phone battery will just drain. Bringing a handy external battery pack with 2-3 full charges on it will be very helpful. Before leaving for your trip make sure your pack charges and discharges properly! Chapstick. I can't stress this enough but there's nothing worse than getting caught without lip balm and subconciously licking your lips all day. You will really regret it next day. Sunglasses. You'll want them, trust me. Plastic Ziploc bags. Water rides? Then bring some ziplock bags. Good for stashing cell phones in to prevent them from getting waterlogged. They're also handy just to group and organize things together such as everyone's tickets, wallets, keys, etc. Digging through a bag you have the danger of something falling out without you noticing, a Ziploc bag full of goodies will be pretty easy to spot making a grand escape. Tissues/Wet Wipes. One of the cleanest parks in the world, you still never know when there will be an ice cream emergency or the need to just refresh during the day. A packet of tissues or wet wipes will save the day here. Now this is a real no secret: Disneyland tickets are wildly expensive and discounts virtually do not exist. For those that don't live in Southern California, a few dollars off seem to be the best deal that can be found for a single day ticket. What some people aren't aware of is the discount that comes with multi day passes from 3 days or more. A 3 day ticket drops by $10 a day while a 5 day ticket drops a massive $36 per day! This time around we opted for a 3 day ticket to allow ourselves one full day at each park and then a third day to hop between the two parks. Also by purchasing 3 days or more, you're entitled to one Magic Morning which lets you go into the park an hour before the general public! Magic Mornings are also given to those who stay on the Resort however if you're looking to save some money on a hotel, it's great to still have this option. These are two things that Disneyland offers to help you skip the long standby time. I highly encourage you to take advantage of these offerings. FASTPASSES essentially allow you to cut the line by putting you in a separate line for FASTPASS holders. FASTPASSES can be obtained from machines as designated rides by inserting in your park ticket into a special machine which will in turn spit out a piece of paper giving you a designated hour to return to the attraction and be granted admittance into the special line. Passes are limited to one per ticket and you won't be able to get another pass until you've used this one or past the time noted on the paper. The passes are limited to the day you obtain them and the times printed on the ticket are firm. Miss your window and your pass will be void. Single rider lines are a newer offering in that it's still the main line however they have a special section where people can opt to ride solo meaning these people are used to fill empty seats in cars. Sometimes there are those rides with four seats and when only three seats are full, they will take someone from the single rider line to fill that spot. More often than not, this is much quicker than the standby line, sometimes similar to the speed of a FASTPASS line. Let me break down the rides that have FASTPASSES available and I'll add a (*) to any rides that also have a Single Rider line. World of Color - It's to be noted that World of Color is actually a show and not a ride and while it is possible to see the show without a ticket, it would be to your advantage to grab a ticket since it gives you access to a much better view in a roped off area and the machine is disconnected to the other machines in the park meaning you can hold onto this ticket and still be able to get other FASTPASSES. I suggest picking up this ticket as soon as you get into the park since they are a first-come first-served basis and will almost always sell out quickly. Mickey Mouse Beignets from Mint Julep Cafe, New Orleans Square, Disneyland. Get a trio of Mickey shaped beignets from this walk up window and you won't regret it. Lovely airy donuts with a dusting of powdered sugar, it is simply divine. They serve these at the Cafe Orleans too however they hike up the price there since they threw in some dipping sauces. Skip that and save a few dollars, the beignets are fantastic just by themselves. Pickles and Pineapple Spears from Indy Fruit Cart, Adventureland, Disneyland. Before or after the Indiana Jone's ride I always love stopping at this fruit cart. There's a wide selection of fresh fruit and best of all: giant dill pickles. The pickles is always a must and sometimes I like to pick up the pineapple spears too. A great pick me up snack. Turkey Leg from Turkey Leg Stand, between Fantasyland and Tomorrowland, Disneyland. Amusement park standard, you just can't go to one without getting a dinosaur sized turkey leg to gnaw on as you wander around the park. Perfect entertainment for standing in those long lines too. Pizza Port, Tomorrowland, Disneyland. This one is kind of silly, and some say it's the worst pizza ever, but nothing beats a basic slice of pizza as you exit Space Mountain. The have traditional toppings as well as some specials that they rotate through. It's worth a quick visit just for a pick me anytime during the day. These next items I haven't personally tried yet but I've discovered through my research that have piqued my interest. 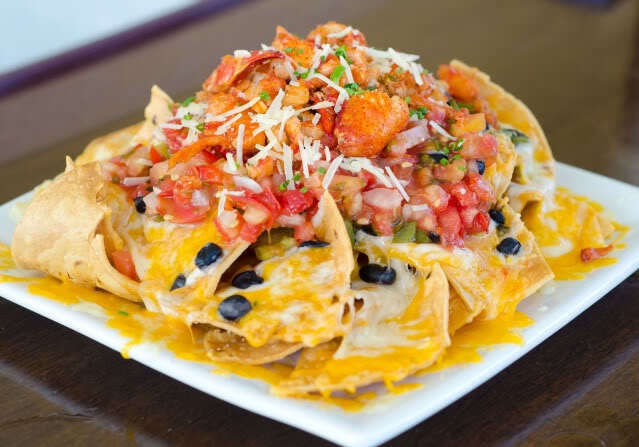 Lobster Nachos from Cove Bar, Paradise Pier, California Adventure. First is the lobster nachos which is a plate of nachos topped with lobster. Yes, very straight forward. They look amazing and I hear there are quite a few stiff drinks you can have the bartenders whip up from their secret menu to enjoy with including the Zombie and Mickey's Fun Wheel. You can read more here about the secret cocktail menu as well as see some pictures. Bacon & Sour Cream Stuffed Baked Potato from Troubadour Cafe, Fantasyland, Disneyland. How have I never known about this? A baked potato stuffed with all the best stuff! Amazing, you know I will be hunting this down. Apparently this is something they used to serve at the Harbor Galley and it's not known that it moved to this new location. They also used to have a barbecue chicken stuffed one which sounds heavenly but it looks like it has been taken off the menu. Rope drop. This is when the park opens. Meaning you're there 30 minutes before it actually opens to be one of the ones in. There are a bunch of advantages to this such as less crowded buses and cooler weather, but there's also things such as the Welcome Show. This is when a huge steam train full of characters roll into the station and Mickey himself opens the park! 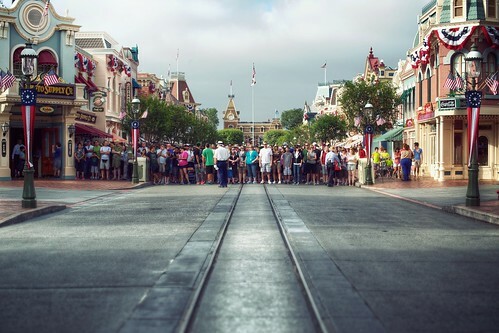 Other cast members line Main Street ready to wave you into the park. It's a fun experience and really should be done at least once in your life. Early admission. Sometimes, but not always, the park will open a few minutes before the actual opening time. It's always worth it to get there early because even a few minutes when the park is least crowded is cherished. Disney Dollars. Disneyland has it's own currency and they are specially printed dollars! They go for a $1 to $1 exchange rate and come in denominations for $1, $5, and $10. You can spend these anywhere in the park or keep them as a souvenir. They're available in the park (Disneyana Store and the Emporium) as well as in the resort hotels. Buttons. Available at City Hall as well as other locations, there are a wide selection of buttons for any occasion that you can proudly sport for the day. 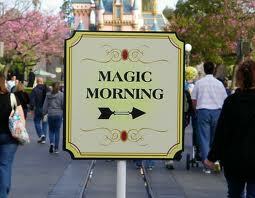 It's always worth a visit in the morning to see what's available and get a special souvenir. I still can't get over this great place I recently visited! This isn't only a good place. It is also one of the best around here. There isn't a listing of the unique offerings, although there should be! The venues in Los Angeles were magnificent! I just want to thank you for this post where you have shared the all tips which is so necessary for the visitors to go there and spend holidays. You can get the best disneyland paris new years eve package from gold crest.